John Cage - "Cheap Imitation" / Derek Bailey - "Improvisation" / Fernando Grillo - "Fluvine"
I haven't heard much of John Cage's music, but being aware of his stature as a 20th century composer I was curious having received this CD for review. Oh sure, I've heard of his "concerts" where he'd sit and stare at his piano for hours on end, never actually playing the darned instrument. An internet search for information about the composer turned up an active discussion list entitled "Silence". 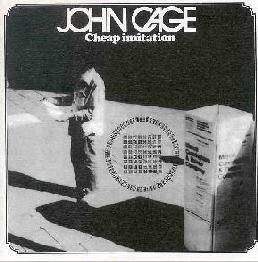 Cheap Imitation is 36 minutes in length and consists of 3 solo piano pieces played by Cage at Mills College in 1976 and released the following year. As a non-musician listener I'll just say bluntly that these singular piano melodies sounded to me like a child preparing for his/her first recital. Yes, I know there's far more to it than that, but I think this is something only someone seriously into music theory or compositional structure would appreciate (though appreciation doesn't necessarily translate to enjoyment). The liner notes to the Ampersand reissue of this album thankfully go into detail about the compositions that help give some insight into the work and at least made reviewing this CD interesting, rather than the boredom that the experience of simply listening to it left me with. Cage was an interesting character but I'll leave it to the university professors to explain his worth, and, if they think they can be convincing, his aesthetic appeal. 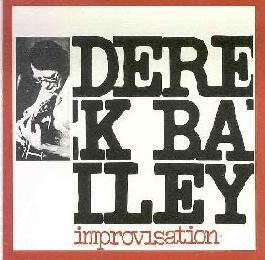 Derek Bailey's Improvisation was originally released in 1975 and consists of 14 relatively short solo guitar pieces, all simply titled "M1", "M2", "M3", etc. Unlike Cage, who's playing has a static, monotone quality, despite the fact that he's playing a melody, Bailey's playing includes a banquet of sounds, changes in pace, and challenging but intriguing note combinations. Though Bailey was a much later discovery for me, I recall there was a period in the 1980's when I seemed to be scooping up every Fred Frith and Henry Kaiser album I could find. There has long been something about this style of guitar that my ears have found pleasing, and while I'm sure there's plenty of fodder for discussion among the schooled musicians, as a non-musician I can only speak to the aesthetic experience the music provides me with. Though many newcomers would probably be best introduced to this music from more of a band situation (as I was with Henry Cow), attentive listening to the music on Improvisation reveals a great deal of passion, free-form expression, and some truly magical guitar sounds. 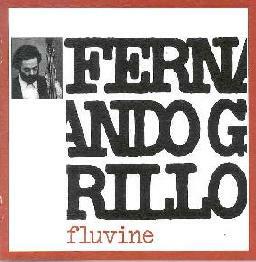 Contrabass player Fernando Grillo was unknown to me prior to hearing this reissue of an album from 1976. In many ways these solo contrabass pieces are similar to the Bailey album. Not in style, but in the way Grillo uses his instrument to construct both notes and sounds. Grillo incorporates ambience, noise, and drones to create works that are subtely potent in atmosphere and thematic development. In fact, while Cage, Bailey, and Grillo are all part of a musical avant-garde, Grillo's music is the most experimental, his goal seemingly to create far more than just music. While there's never any doubt that Cage is playing the piano or Bailey the guitar, Grillo's bass becomes many other things both tangible or otherwise. I think my favorite moment is the beginning of "Fluvine Tre" in which the bass sounds like a car motoring down the highway. Later in the track he distorts the standard bass sound and combines it with rumbling runs that prompt me to think that a duo performance between Grillo and Bailey could produce fascinating results. For more information you can visit the Ampersand web site at: http://www.ampersound.com. Contact via snail mail c/o Ampersand; PO Box 220426; Chicago, IL 60622-0426. Ampersand has take great care in the packaging of these reissues which include outer slipcovers featuring very nice photos of the musicians.